And of course with a record of action goes a promise of more – so do take a read of our 2014 Haringey Council elections manifesto, including our top six priorities. 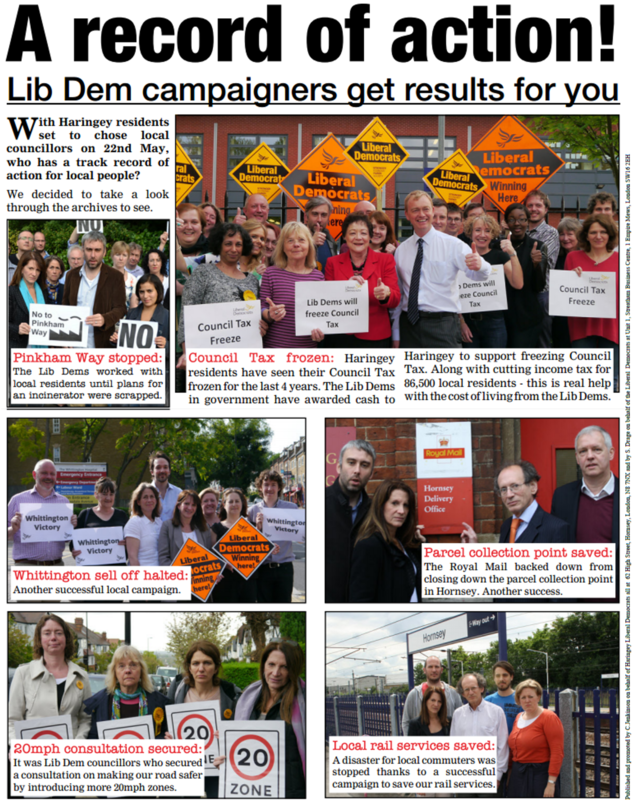 This entry was posted in Blog and tagged Lib Dems by Lynne Featherstone. Bookmark the permalink.